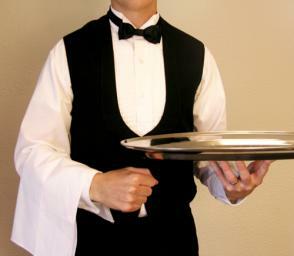 Home>Best Hospitality Degrees FAQ>Are There Any Jobs in the Hotel Industry that I Can Do From Home? People looking for jobs in the hotel industry that they can do from home are in the right place! Home-based hotel jobs provide many great benefits to job-seekers. Not only do these types of jobs offer flexible work schedules, but many of them pay quite well too. And while some of them may be temporary positions, there are also several hotels looking for permanent employees to work from home. Five of the most popular home-based hotel jobs are described below. One of the most popular jobs in the hotel industry that can be done from home is that of a reservation sales specialist. Also known as reservation sales agents, the main responsibility of these persons is to book hotel reservations over the phone or by way of a computer. To obtain a position as a reservation sales specialist, applicants must be friendly and have excellent computer and communication skills, a high-speed Internet connection, and a dedicated phone line. Another great hotel industry job that can be done at home is known as a hotel customer care specialist. These professionals typically handle customer service issues such as questions about billing, customer complaints, problems with reservations, and questions about the hotel or local area. These positions also require applicants to have excellent computer and communication skills as well as good listening skills, problem-solving skills, a high-speed Internet connection, and a landline phone. Becoming a hotel event planner is yet another terrific job option for people who are looking for jobs in the hotel industry that can be done from home. Also known as hotel event coordinators, hotel event planners are responsible for coordinating events which often includes securing the services of such professionals as florists, caterers, photographers, musicians, and landscapers. According to information provided by the United States Bureau of Labor Statistics, the demand for these positions is expected to increase by about 11 percent over the next several years. Hotel transportation specialists help hotel guests navigate the local area by connecting them with such transportation services as taxicabs, Uber, Lyft, or limousines. Many specialists also provide guests with information pertaining to local car rental companies. Basic knowledge of logistics is beneficial for these positions, and those wishing to acquire one of these home-based hotel industry jobs will need good communication and computer skills, a high-speed Internet connection, and knowledge of local transportation companies. A home-based hotel industry job that is perfect for individuals who enjoy writing is that of a freelance travel writer. Many hotels employ the services of freelance travel writers to write marketing content as well as entertaining travel blogs about the hotel and/or the local area. In addition to exceptional writing skills, travel writers must have excellent researching skills. They may be asked to write about a variety of topics relating to local tourist spots, popular shopping centers and restaurants, local culture, and historical points of interest. People who would like to work in the hotel industry but need to work from home have many terrific options available to them. There are several fantastic jobs in the hotel industry that can be done from home, and the five positions described above are some of the most popular today.